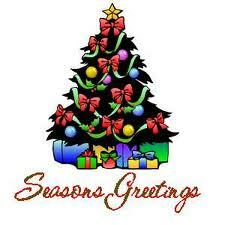 The Taos Public Library will be closed Monday, December 24th and Tuesday, December 25th. All of us here wish you and your family a joyful and safe Holiday! The days of free news online may be ending, according to CNN. The Washington Post is probably going to start charging for news online and the Philadelphia Inquirer and Philadelphia Daily News have already announced plans to do so. New Taos Public Library Director? Don't forget the RIF book giveaway and visit with Santa Claus is TODAY in the Children's library from 10am to 4pm. Santa Claus and a special guest will be in the Children's library from 2pm-4:30pm. Come have your picture taken with Santa Claus! 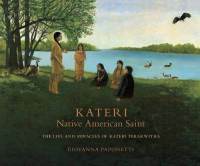 This Saturday, December 8th, at 1:30 pm, Giovanna Paponetti, artist and author, will speak about the life of Native American Saint, Kateri Tekakwitha. 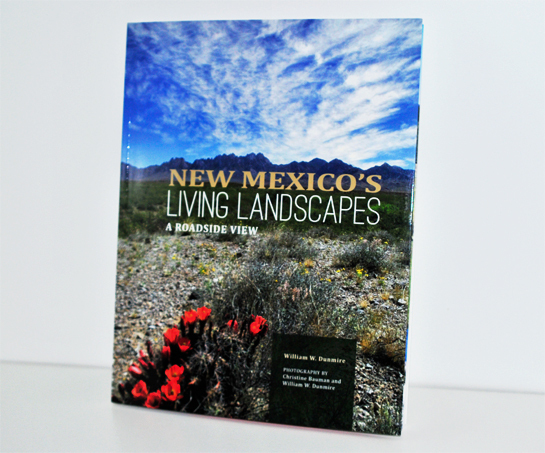 Bill Dunmire, author, will lecture on New Mexico's Living Landscapes, this Saturday, December 1st, from 1:30 pm-3:30 pm. Graduate of the University of California, Berkeley, with degrees in wildlife management and zo-ology, Bill Dunmire served 28 years in the National Park Service, mostly as a naturalist in a number of parks including Yosemite, Hawaii Volcanoes, Yellowstone, and Carlsbad Caverns, where he retired as Superintendent in the mid-80s. For seven years he was a field biologist with The Nature Conservancy in New Mexico. Bill is an Associate in Biology at the University of New Mexico and a Research Associate at the NM Museum of Natural History & Science. The Taos Public Library will be closed for Thanksgiving on Thursday and November 22nd and Friday, November 23rd. We will reopen on Saturday, November 24th. There's an interesting article in the Wisconsin Badger Herald about the Little Free Library movement that seems to be picking up steam in and around Wisconsin. One-room schoolhouses, log cabins, barns or anything else people think up. These are examples of the many creative Little Free Libraries people have made around the world, and many students have probably seen them around Madison. 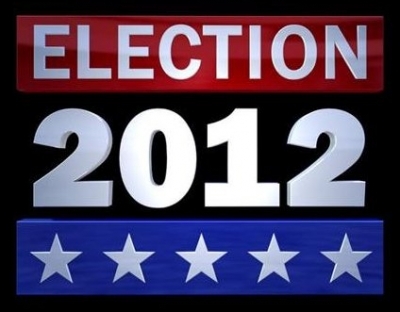 General Election 2012- Bond B Passed! Taos county had the highest percentage of "yes" votes for Bond B in the state! 72%! 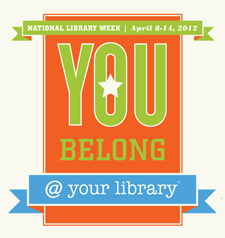 The Taos Public Library is supported and valued by you! The passing of Bond B will allow for library resource acquisitions and capital improvements. Please let us know how we're doing and how we may better meet your needs. Drop us an email or come talk to us when you next visit the library. Library director, George Jaramillo, is always available to meet with you (unless he's in a meeting). 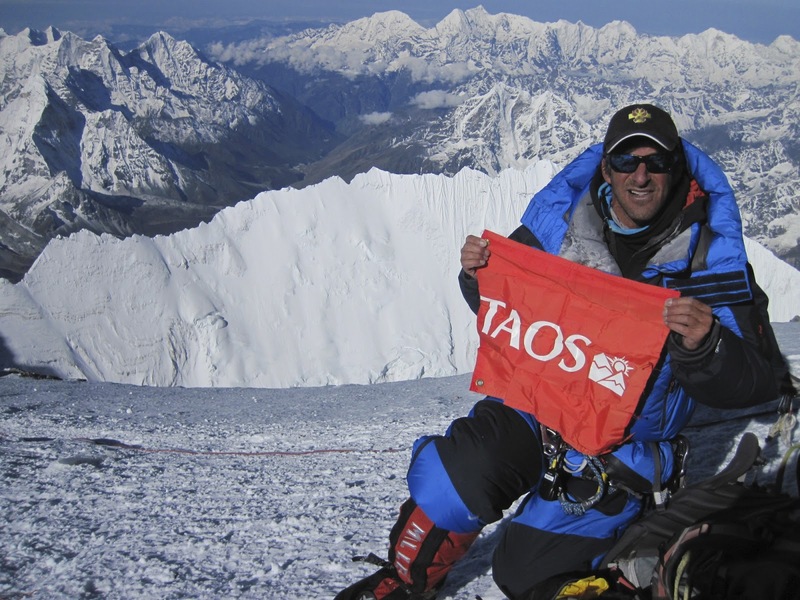 The Taos Public Library presents mountain guide Dave Hahn, this Saturday, November 10th, in our community room, from 1:30pm to 3:30pm- "A year in pretty pictures and exaggerated stories...a roundup!!!" Join us for a special talk and reading with author Carol Merrill. Carol will read from her two books Weekends with O'Keeffe and O'Keeffe: Days in a Life. Did you know the word Halloween comes from a Scottish variation of "All Hallows Even' (evening). It was first used in the 16th century. All Hallows day means mass-day of all saints. Halloween also has pagan influences. With preparation for winter, bonfires were lit, feasts and rituals held. 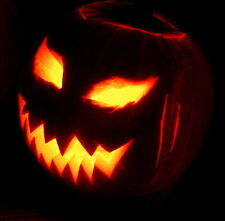 Jack 'o lanterns may have come from faces carved in turnips in the Scottish highlands! As early as 1895, in Scotland, children were going door to door wearing costumes and carrying turnip lanterns. They were given coins and cakes. Here in Taos county, we are in the middle of early voting for the 2012 presidential election. If you've followed the debates and are not clear on whether the candidates are pro or con on certain issues, you can go to ProCon to see where they stand. Another site for fact checking is PolitiFact. In case you didn't know about State Go Bond B on the ballet this election, it is to authorize $9.7 million to purchase books, electronic resources for school, public and academic libraries in New Mexico. If you're not sure where to vote on election day, Taos County has a map of the precincts. Thanks at least in part to the universal appeal of the Harry Potter, Twilight and Hunger Games series, 55% of Young Adults books are now being purchased by adults, mostly by those ages 30-44. 78% of those book buyers say they are purchasing the books for themselves. According to a report from Pew Research Center's Internet and American Life Project, 8 out of 10 young adults age 16-29, have read a book in the last year. That's compared with 7 out of 10 adults reading a book in the last year. The findings of this report are meant to be positive, but I find them a little discouraging. The last book sale of the year will be this Saturday from 8am to 1pm at the Farmers Market. Thank you to the friends of the Taos Public, for all their hard work in making these Summer book sales a big success! Also, the winners of this years teen art show will be announced this Saturday at 1:30pm. This year, Lloyd Rivera is the judge. Take a look at our talented teen art entries in the community room. You have until Friday to vote for your favorite. Thanks to those teens who submitted their artwork! This Saturday, November 13th, from 10 am to 1:30 pm in the library community room will be a membership drive for the Friends of Taos Public Library. Join us for a book sale, readings by Taos High school students, and refreshments. For a little more than a price of a latte, you can support your local library. Just $10.00 a year (and up)! Donate $50.00 or more to receive a free, sturdy, book bag. 2nd Annual Teen Art Show! Deadline to submit artwork is October 12th by 5pm! Read more for rules and regulations. We continue our Spotlight On interview series with the Taos Public Library director, George Jaramillo. Watch this candid interview to learn more about George's professional background, what goes on behind the scenes, and George's favorite authors. The Taos Public Library has teamed up with Albertson's Diabetic Life Center to present a "Diabetes Educational Event". The National Medical Association lists diabetes as the 7th leading cause of death by disease. This talk will include healthy eating, menu planning, nutrition, and monitoring your diabetes. Please join us in the Taos Public Library community room this Saturday, September 29th from 10:30am-noon. Library Journal has a report on this unique partnership between the Port Chester-Rye Brook, NY, Public Library and a local entrepreneur. The Friends of the Taos Public Library are having another book sale this Saturday, September 15th, at the Farmers Market from 8am-1pm. You never know what treasure awaits you! With the end of Summer, comes the conclusion of our well attended lecture series. Do not despair, we have more lectures coming up in November. Please check back for lecture topics and dates in October when the leaves are turning. Come in and peruse our new fiction and non-fiction. Throughout the whole month of August a lot of new books were added, including mysteries. Our computer classes beginning at the end of this month are quickly filling up! If you're interested in what we're offering and availability, give us a call or stop in. Refer to a previous post here at Library Lowdown for all the details. Last Remarkable Women Lecture This Saturday! This Saturday, September 8th, from 1:30pm-3:30pm, author and historian Elizabeth Cunningham will speak on The Art and Lives of Mary Greene Blumenshein and Helen Blumenshein. Friends of the Taos Public Library will be holding a book sale this Saturday, September 1st, at the farmers market, from 8am-1pm. See you there! His name is Brewster Kahle. He's a dotcom multimillionaire who's working on what he calls Alexandria 2.0, aka the Internet Archive. Among other things, you can use its Wayback Machine to see what the web or a website looked like at a previous time. This link has a whole range of statistics of how libraries are of value and where funding comes from. While the amount of new patrons getting library cards and daily count of visitors to the library continues to climb, the Taos Public has had to do more with less, as our funding from the state and town dwindles. Thanks to a vibrant Friends of the Taos Public Library, we are able to fund lectures and other special events that we have throughout the year. You too can become a member of the Friends. Stop by the circulation desk to see how. Free Basic and Intermediate Computer Classes! Classes will fill up quickly! Be Transformed Mugs On Sale! Looking for a gift for friends and family? How about a one of a kind "Be transformed @Taos Public Library" mug. Now on sale for only $5.00! Do You Know Which Generation Buys The Most Books? If you thought the answer is baby boomers (who used to hold the title), think again. A thought-provoking article from the Christian Science Monitor reveals that Gen Y (those born between 1979 and 1989) just may be the most book-buying generation alive today. 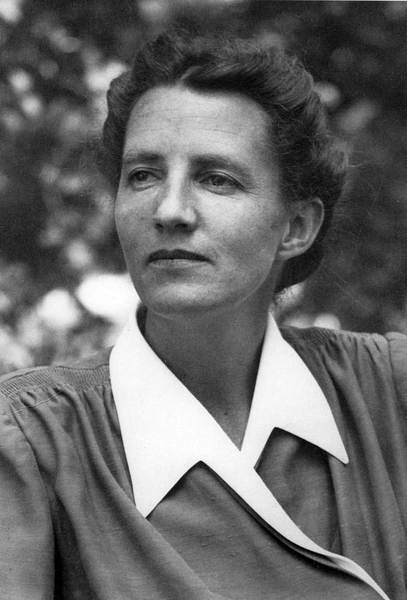 Our Remarkable Women Summer lecture series continues with Cherie Burns, the author of the biography, Searching for Beauty-The Life of Millicent Rogers, published by St. Martin's Press in September, 2011. 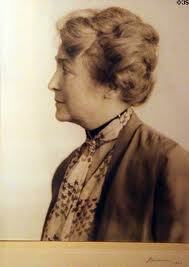 Ms. Burns will review her book and share insights into the fascinating and exciting life of Millicent Rogers. Please join us in the community room from 1:30-3:30pm. Also, this Saturday, the Friends of the Taos Public Library is having another book sale at the farmers market, from 8:00am-1:00pm. I recently read an interesting online article about how reading trends, what people are reading, and how often they're reading, are influencing their time spent reading books. With the advent of social media on the internet and all the portable electronic devices available, perhaps time spent reading has increased. What about time spent reading books? Does anyone have the attention span these days to read War and Peace? With all the twittering, blogging, email, and FB, who has extended (undistracted) time and inclination to read the latest Pulitzer prize winner? The argument could be made that people are reading more than ever because they have more available at the tap of a screen, via ereaders and ipad. For me, I choose not to watch television. I average ten books checked out from the Taos Public and three books loaded on my Kindle. I can't manage to read everything! But I am reading more than I used to five years ago. I know my time limits for FB and other enticing internet based sites so that I have time to read the next great novel. Despite the ease of reading many books on Kindle, I have no intention of giving up hardcover books. What about you? How have your reading habits changed, if at all? Are you a frequent visitor at the Taos Public? We'd love to hear what your comments are! Librarian Ellen interviews Children's Library volunteer Leslie Bond. The latest in our series of spotlight videos about our amazing volunteers. Video after the jump. Judith Kendall owner of the Fenix Gallery has assembled a panel of five women artists who will discuss the contemporary art scene. Founded in 1989 by Judith Kendall, the Fenix Gallery strives to present the best in contemporary Taos Art. After twenty exceptional years, over fifty solo exhibitions and countless group shows in two distinct physical spaces in Taos, the Fenix is rising again as a strictly virtual space. With her vast experi-ence the panel that has been assembled represents some of the finest women artists in Taos County. Ms. Kendall will moderate the panel discussion, asking questions of the panel and providing the audience with points of discussion. The five women artists will include Ginger Mongiello, Barbara Zaring, Zoe Zimmer-man, Dienke Nauta, and Rachael Varela. The panel is made up of artists that exemplify celebrating culture, preserving our past, and nurturing the soul through fine art. Each artist will talk about their medium and give an overview of their struggles and achievements as an artist. The panel will address issues such as special challenges they have encountered in Taos, are women artists supported by the community and the art world, are women gaining ground in art, are there accommodations that need to be made to harmonize with other artists in Taos, etc. The Friends of the Taos Public Library will be holding a book sale at the farmers market, from 8am to 1pm this Saturday, July 21st. Go early for some great treasures! The Taos public library will close at noon this Friday, July 20th. We will reopen on Saturday as usual, at 10am. If you stay at the Hotel Indigo in Newcastle, England, you can still find the Bible in your room but it won't be the only reading material available to you. Starting this month, each room will have a Kindle with wifi. The Kindles will come loaded with Scripture but also the option of downloading other books from Amazon. Performing magic, yoyo tricks, juggling, and more! Privacy hawks take note: If you want to keep anything about your reading habits or subject matter confidential, you may want to limit your reading to dead tree material. A fascinating, if disconcerting article in the Wall Street Journal reveals that that fun new e-device that makes downloading and carrying around books such a breeze also makes tracking what you read and how you read it a breeze, too. While you're at the farmers market, stop by the Friends book sale tent, where you're bound to find a treasure or two. There will be a lot to choose from in many different subjects. Go early for the best selection. The sale will be from 8am to 1pm. This summer's lecture series, Remarkable Women, continues with Dr. Miller speaking on the "Native American Connection: The Early Moderns, Mabel Dodge Luhan, Taos Pueblo, and the D.H. Lawrence Ranch." Dr. Miller will reveal connections between the lives of Mabel Dodge Luhan, D.H. Lawrence and others. 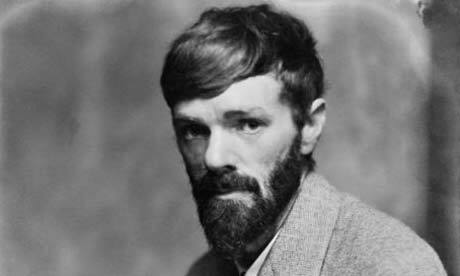 The lecture begins at 10am, in the community room, with a tour of D.H. Lawrence ranch to follow. There will be another lecture at 2pm. The New York Times best-selling trilogy, 50 Shades of Grey has been deemed too risque for some libraries. Elsewhere, the controversy has only served to increase demand. Join us for a poetry reading with Sharmagne Leland-St. John. She will read from "Cradle Songs", an anthology of poems on motherhood, in the community room on Friday, June 8th from 1:30-3:30. "Cradle Songs" is a collection of almost 220 poems, each with a distinctive tone and viewpoint of a grand topic. 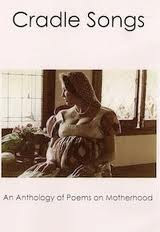 "Cradle Songs" is edited by Sharmagne Leland-St. John and Rachelle Yousuf. 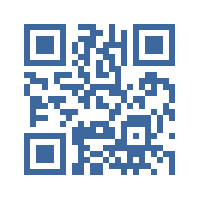 For all our mobile users out there, we've now got a QR code you can use to scan and save our url into your device. For those not familiar with them, QR codes work like hypertext links - but you scan them without having to "click." 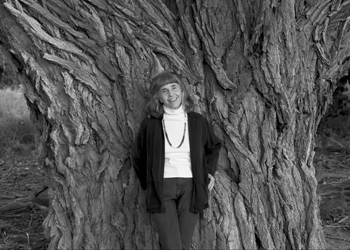 Recently, Ellen interviewed one of our long time volunteers, Charlene. All of us here at Taos Public appreciate and value Charlene SO much for all the help she's given us over the years. Charlene's energy and enthusiasm is contagious! Watch this short video to learn about Charlene, including what she's reading. Free lecture this Saturday, May 26th, from 10:30-12:30 in the community room. 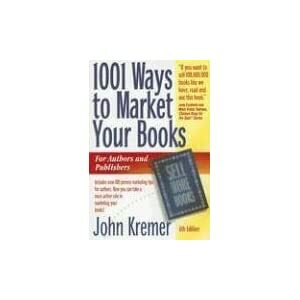 John Kremer, author of 1001 Ways to Market Your Books, will show you how to get your book published. He has helped thousands of authors sell almost a billion copies of their books. Registering to vote is as easy as a visit to The Taos Public Library. If you need to register or re-register to vote, just ask for a registration form at the circulation desk. We at the Taos Public Library encourage all citizens to participate in our democratic process by exercising their right to vote! Two library events this Saturday, May 19th! Patricia Michaels, a fashion designer with roots in Taos Pueblo, will kick off the Taos Public Library's summer lecture series: Remarkable Women of Taos and Northern New Mexico. Patricia will talk about the ideas and accomplishments of her current projects, future direction, and show a video of her garments and travels to Italy, New York, South Africa, and New Zealand. Please join us Saturday, May 19th from 1:30-3:30 in the community room. Also on Saturday, May 19th, from 8am to 1pm, is the first Friends of Taos Public Library book sale at the Farmers Market (next to town hall). I've heard from an inside source that there will be a lot of books there! Friday. 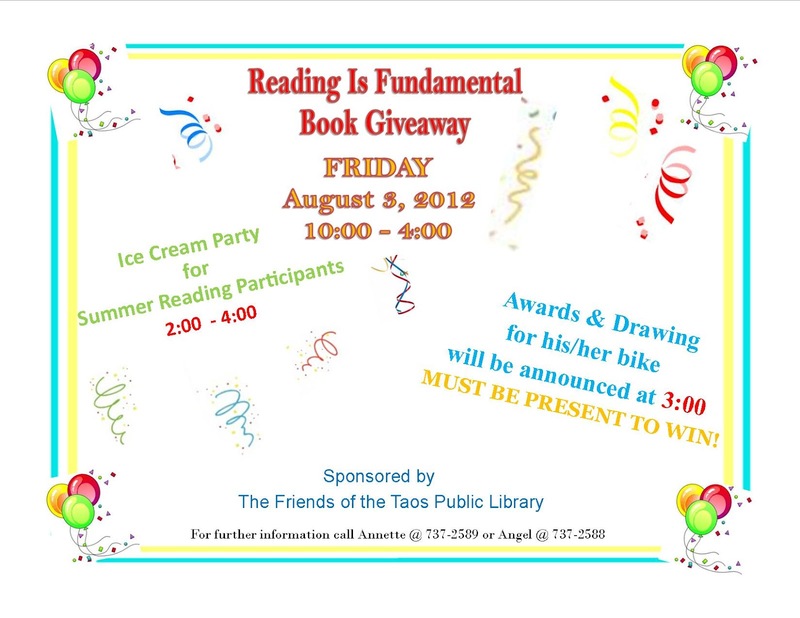 June 15th, 10am-4pm Registration begins and Reading Is Fundamental Book Giveaway. Wednesday, June 20th, 10:30am-11:30am Design and paint your own canvas bag. Friday, June 22nd, 11:00am-12:00pm Stilts & Puppet show with Wise Fool New Mexico. Wednesday, July 11th, 10:30am-11:30am Paint your own painters hat. with magic, yo yo tricks & juggling. July 17th or 18th, 10:00am-12:00pm & 1:00pm-3:00pm Zoo to You, date to be announced. Wednesday, July 25th, 10:30 am-11:30am Paint or Color your own pencil case. Friday, July 27th, 10:30am-11:30am Be creative with Sand Art. Registration begins Friday, June 15th. Books read for the contest must be from the Taos Public Library. Once you have read 10 books, bring in your book log and get another. After you have turned in 1 book log, you will be entered in the drawing to win his/her bike. 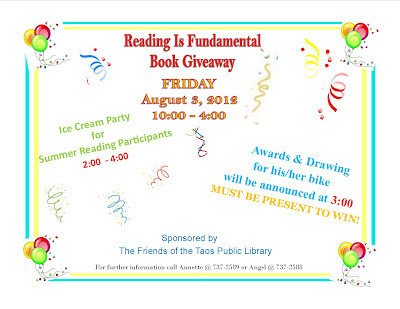 We will be giving away two bikes, one girl one boy, for participating in the summer reading program. Must be present to win. For every additional 10 books read, you will receive a choice of prizes. PLUS 1st, 2nd and 3rd certificates will be awarded to those reading the most books. ALL book logs must be returned by Monday, July 31st. NO EXCEPTIONS. before we announce the winners! the his/her bike. Good Luck! The Taos Public Library is thrilled to be a part of the Town of Taos Summer theme "Remarkable Women of Taos". We are honoring remarkable women in a free lecture series held in our community room beginning in May thru September. Here's the lineup: Remarkable Women of Taos Click here to see what art exhibits and other events are planned around town this summer. This is a great opportunity to pick up some treasures and support your local library. Hope to see you there! If you've been in the library lately, you may have noticed a new face. Dave comes to the Taos Public with experience from the Los Alamos public library. He's been busy "learning the ropes" here. Next time you're at the library, say hello. All of us here at the library are glad he's joined us! 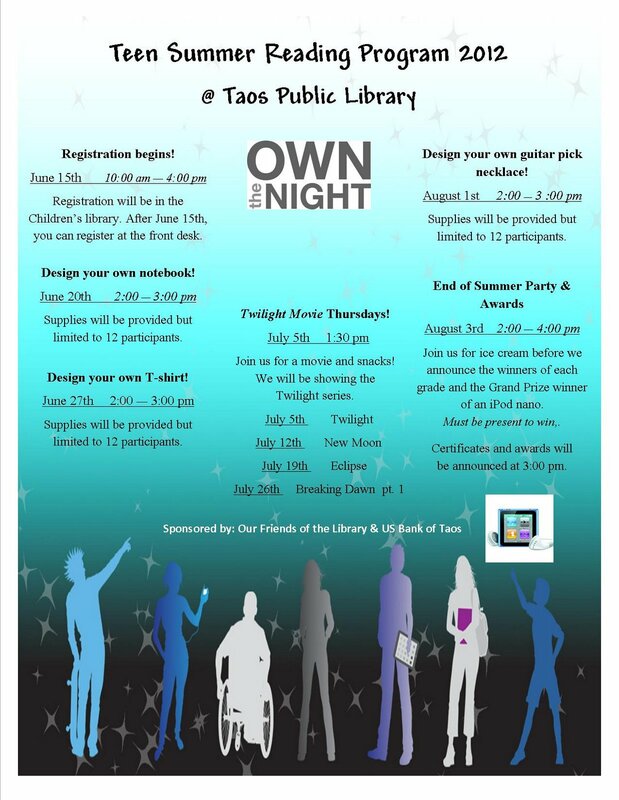 Celebrate your library- Taos Public Library! Come in this week and receive a free "bio-degradeable" book bag! check this out- National Library Week 2012 for national events and activities. Here's a neat tutorial prepared by our own Lisa Libro for those of you who have a Kindle Fire and want to download audiobooks from our library to that device. Word is getting out that the Taos Public Library now has a downloadable e-book and e-audio collection!! I recently learned about a very cool free ebook management program called Calibre. The link will take you to downloads for pc or Mac. You may also click on a demo video to see Calibre in action. What I love the most about Calibre is that I can convert an epub book to Kindle format- azw. You can add books to your Calibre library from your computer or your favorite book sites on the web. From there you can sync to your e-reader. You can even download the news from the web and convert into e-book form. CNET (click on CNET for full review) has given this program 4.5 stars! Do you know how many we have at the Taos Public Library? Hint: most. Our Fast Forward NM computer classes are a big hit. We've heard rave reviews from participants (including some from our own Taos Public Library staffers). Plus, it's free! Many of our most basic classes are "waiting list" only but there's still room in some of the later ones. Check it out here or at the Taos Library website. The Taos News' Tina Larkin visited us last week for the kick off of Fast Forward New Mexico, a free program of computer and internet courses offered at the library during March and April. While she was there, Ms. Larkin captured the look and feel of the library on a typically busy Saturday afternoon. Check out the photo gallery, in case you missed it... you might even spot yourself. On Tuesday, March 6th, from 3-4pm, join us in the community room for a training on how to download digital material onto your ereader, ipod, ipad, and mobile devices. 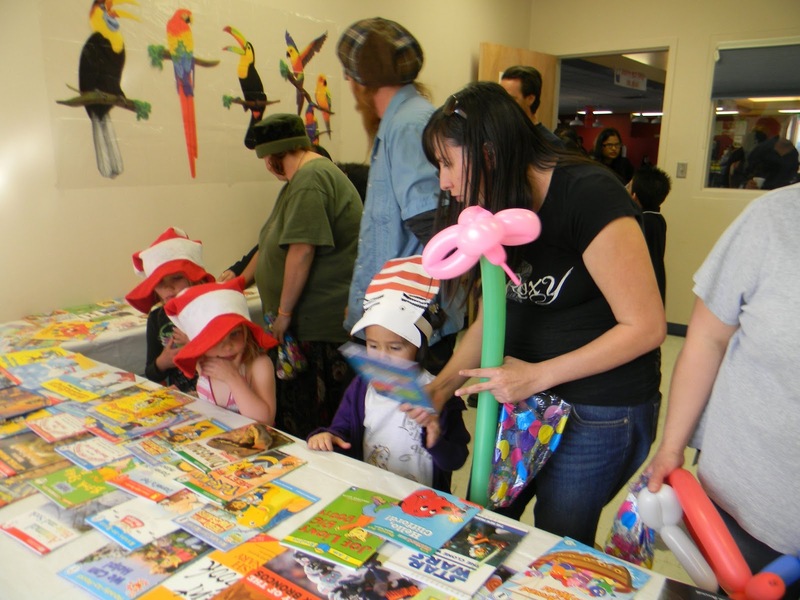 In honor of Dr. Seuss’s 108th Birthday and to celebrate fun and value of learning to read, the Taos Youth & Family Center and the Taos Children’s Library have joined together for the National Education Association’s (NEA) Read Across America on Thursday, March 1, 2012. Our Birthday Party is scheduled from 3:00 PM – 5:30 PM at the Taos Youth & Family Center. The Birthday Party is for children of all ages. The first 550 children will receive a free Birthday bag. 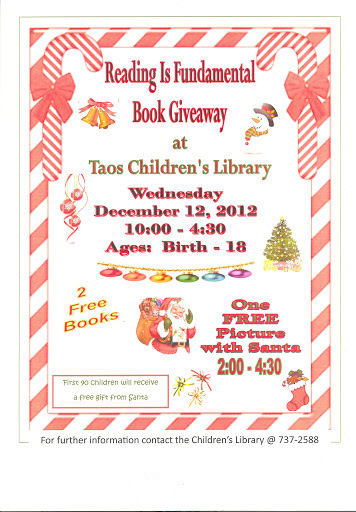 The Taos Children's Library will give away 400 books to children attending the party. Schedule and information about special guests after the jump! 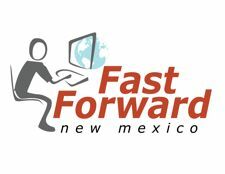 This Saturday, March 3rd, 1-3pm, is the kickoff for Fast Forward New Mexico computer training classes at the Taos Public Library. We are encouraging those interested in registering for classes to come to the kickoff event. Classes are filling up! See the Feb. 6th post for details on classes offered, dates, and times. The Taos News' Matthew Van Buren shares what it was like to be a judge in our recent Teen Poetry Slam. Van Buren writes: "When I agreed to judge a teen poetry slam a couple of weeks back, I wasn't sure what to expect. "I have no business being here," I thought as I sat down with cards and markers, ready to score young poets on their content and delivery." We all had a blast at the Taos Public Library's 4th Annual Teen Poetry Slam last week. Every year the teens blow us away and this year was no exception. Congratulations to our winners, Serena Smith (1st Place), Joseph Edwards (2nd Place), Helena Bassett (3rd Place), Elliot Romancito (4th Place) and Zia Pollis (5th Palce). As always, poetry and the Taos Public Library audience were the biggest winners. Photos after the jump. For those that may need assistance with learning how to download items, there is a help link on the homepage. You may also ask library staff for assistance and there will be a digital download hands on training session in the near future. Details will be forthcoming. I couldn't resist posting about this fantastic short animated film. Book lovers of any age will love this sweet, magical story about Morris who's love of books was a saving grace when his world was turned upside down. He found solice in reading and taking care of these flying tomes. A delightfully imaginative and uplifting film! The Taos Public Library will present the 4th Annual Youth Poetry Slam Saturday, February 11, 2012. All teens from the area are welcome to register (so long as we have open places remaining) and compete for cash prizes. If you've never attended a poetry slam, you'll be in for a wonderful surprise. This is not your father's poetry but a lively (some might say raucous) couple of hours of performance art that is guaranteed to reaffirm your faith in the power of the spoken word, poetry and Taos' young people. One of our favorite events each year. A flyer with all the details is after the jump. Fast Forward New Mexico is coming to the Taos Public Library! Fast Forward New Mexico is a 3 year grant funded program created to promote computer literacy and internet savvy skills in rural New Mexico. There is a known correlation between job opportunities and internet skills. These internet and computer training classes are free! There will be 64 hours of training offered, beginning March 7th thru May 5th, 2012 , covering basic computer skills, introduction to the internet, selecting a computer, taking an online course, internet tools for business, and social media for marketing. We are now taking registrations for FFNM. You may come in person to the reference desk, call us with any questions at 575-758-3063, or register here. We expect these classes to fill up. Register now! The staff at the Taos Public Library bid a fond farewell to the library's cataloger, Connie. We wish her all the best! Connie has contributed so much to the Taos library. From cleaning up the overall collection, to raising cataloging standards, her high degree of professionalism, and much more. She will be sorely missed. Fortunately for us, she will be volunteering! Thank you for all your contributions Connie! This year marks the 100th year since President Taft signed the proclamation for New Mexico's statehood. 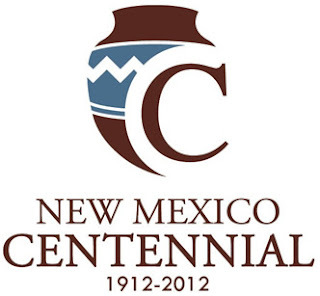 There are events planned throughout the year to celebrate New Mexico's centennial. Click here for planned events and here for a historical timeline to New Mexico's statehood. Here in Taos, the Harwood museum, Millicent Rogers museum, the Blumenschein museum, and the Martinez Hacienda, will have events and exhibits honoring the centennial and the Remarkable Women of Taos. 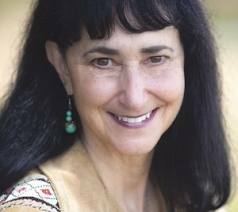 The Taos Public Library will hold a Remarkable Women lecture series throughout the summer. Details will be forthcoming. It's teen poetry slam time!! This month our spotlight is on our youngest volunteer, Rachael. Thank you for all your help Rachael! The Taos Public Library will be closed on Monday, January 16th, in observance of Martin Luther King day. Did you get a Kindle for Christmas? Are you unsure of the ins and outs of how to download books and use it's other features? 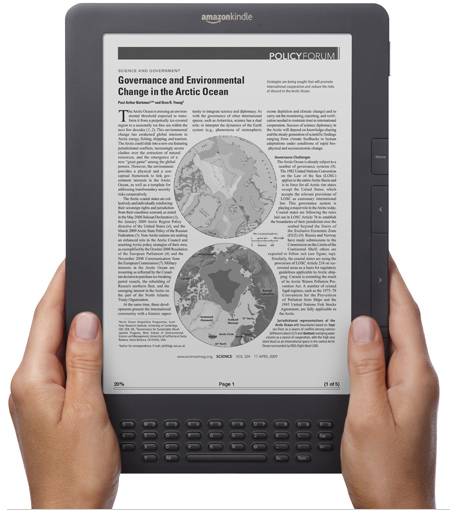 We invite you to join us in the Taos Public Library community room this Saturday, January 14, from 2pm to 3pm, for fun and learning about the Kindle. No need to register. Just show up. Librarians Shirley and Lisa will answer questions and demonstrate the many uses of the Kindle. Feel free to come even if you have a different e-reader. Aside from having their own Kindles with them, Shirley and Lisa will have two more Kindles for people to use. During the month of January, photography is being highlighted in the lobby display case. Come have a look! Librarians Jim, Cheryl, Judith, and Lisa have brought in their favorite photos. Quite a variety of wonderful images! A sampling of photography books is on our new display carousel. These books may be checked out. We have hundreds of photography books, primarily located in our fine arts room at 770 and 779.